2018 put on a cracker of a first race, 30 degree water, minimal wind and scorching sun, all good things to have when you plan on pushing the body’s limits. My morning was off to a brilliant start having had one piece of toast at 3:45 am, then forgetting my breakfast and racing at 9am in the heat on an empty stomach. I was sweating before I even began my warm up, so I decided to shorten the running and do more of my warm up in the water. The race was a 400m swim, 16km ride and a 4km run. 6 Individual races and 1 relay, it was always going to hurt. Some big changes have occured since last season such as graduating school, getting a job and juggling training, so I was not expecting anything from the Super Sprint Race Weekend. Each event was broken into 3 random heats with points being allocated to the top athletes with the fastest times. The 1500m was the first event and I scored 0 points, unable to find any speed. It was the same story for the next event, a 200m run, 8km cycle, 200m run, 0 points. I took it on the chin, went for a nap and re evaluated my current ability. One of the biggest stages of my life just came to an end, graduating high school, so I headed to Kawana for two races in two days. I have been slowly building my speed and strength and planned on using these races to gauge where I am at. Saturday morning was an Aquathlon with some miserable rainy weather made better by seeing some familiar faces for the first time in several months. I set up with my Mizuno Wave Sonics in transition underneath a towel for the rain and took my cap, goggles, and Mizuno Hitogami’s to the start line. With grade 12 exams and being sick, my lead up was less than ideal, almost non existent. I finished my exams on Friday, packed, and flew to Amsterdam on Saturday. I was due to race 1 week later on the 17th, and the weather was rainy and miserable. The next few days were spent touristing, adjusting to time zones, and getting over jet lag. Wednesday morning I caught the train to Rotterdam and by no surprise, it was raining. After putting my bike together I went for a small ride to have a look around. A chilly arrival and knowing it was to be the warmest I would experience, made for quite a shock. The opening ceremony was on the Friday afternoon at the Tasmanian Police Academy, along with a track walk. My course was 2x3 km laps on a rather easy course in a grass paddock. The only thing making the course tough was the wind, rain and cold. Having raced state cross country for the last 5 years it has become a part of the year I look forward too. My first few years I was nervous and scared to push myself to the front of a start line, even having an asthma attack before the race started. Flashforward again and I am on a start line talking to mates after warming up together and even pushing on to that front line. This year I had one of my worst lead ups yet, with minimal running in the last 2-3 weeks not the ideal scenario. 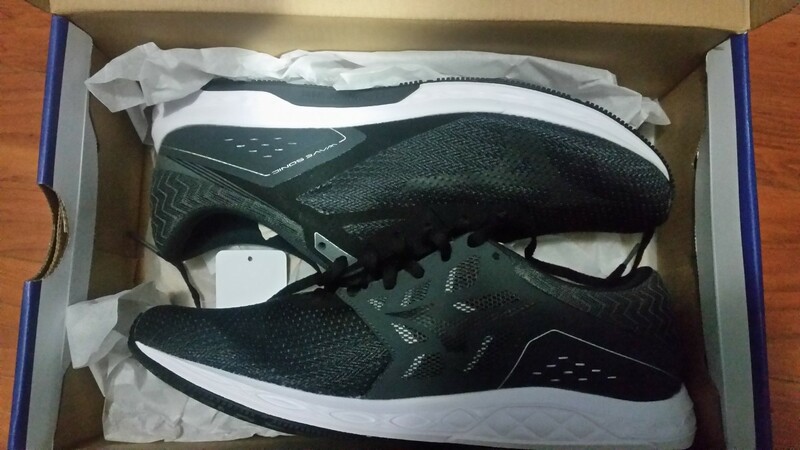 The Wave Sonic is Mizuno's new lightweight race shoe which will be replacing the Hitogami range. I woke up to my alarm early Saturday morning, but it took me a while to realise what for. I lay there looking at my alarm as it went off trying to remember why I was getting up, it’s a Saturday, triathlons are always Sunday, aren’t they? Ooops that’s right, Straddie is a weekend of racing with both the pure and salute triathlon on the Saturday morning. I ate a couple of pieces of toast before I left for the barge, thanks Mel for picking me up. It is an hour’s trip on the boat to Stradbroke Island and I took my time to eat some wheat-bix and watch the sun rise. Last National Schools Triathlon The Queensland team met at Brisbane airport first thing Tuesday morning, where we checked in 36 bikes and bags before having a meeting. Samantha Whiting and myself were honoured to be announced as Team Captains and given the task of firing up the team for a 12th victory. 12 in a row, here we go!!! Landing in Sydney, the rival teams had already stolen our truck, this caused a little delay but our superb managers handled it perfectly.